OurRPF Workshop Kicks Off Redevelopment of Old Hebrew Home Site | Park View, D.C. 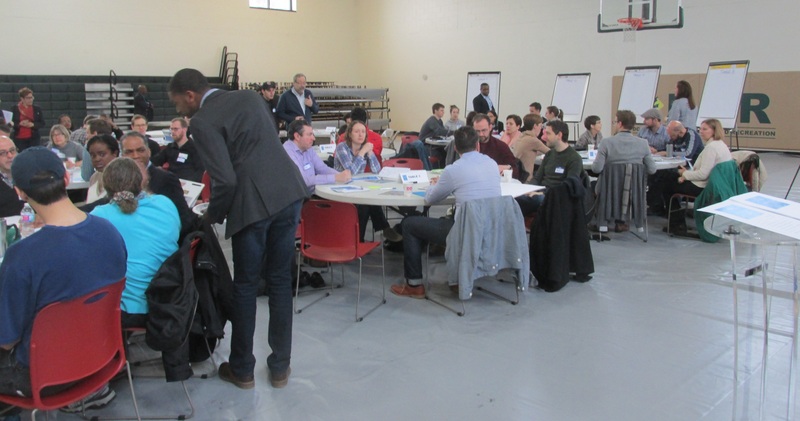 The first of two OurRFP public workshops focused on redeveloping the former Hebrew Home at 1125 Spring Road got off to a good start on Saturday, April 9th. The meeting began shortly after 11 a.m. with words from Ward 4 Councilmember Brandon Todd and Brian T. Kenner, Deputy Mayor for Planning and Economic Development. Vann-Di Galloway (Chair, ANC 4C) and Kent Boese (Chair, ANC 1A) were also recognized. ANC 1A Commissioners Matthew Goldschmidt (1A04), Richard DuBeshter (1A06), and Darwain Frost (1A07) also participated in the workshop. Residents who were unable to attend the meeting can learn more about the project as presentation materials and future meeting dates are posted on the OurRFP 1125 Spring Road Web site and can fill out the online engagement forum questionnaire here. Preceding the public group discussions, a brief presentation provided information on the OurRFP process, a site analysis, and a framework for the workshop. The RFP timeline will consist of two workshops — the April 9th meeting followed by another workshop in May. DMPED anticipates releasing the RFP solicitation in June 2016. Additional ideas where presented on what the massing of new construction could look like if it were by right vs. part of a Planned Unit Development (PUD). While these discussion topics were helpful for framing the discussions, it was difficult to discuss each of these without an understanding of the entire project. For example, there seemed to be a general consensus in the room that affordable housing is a high priority as well as housing for seniors. 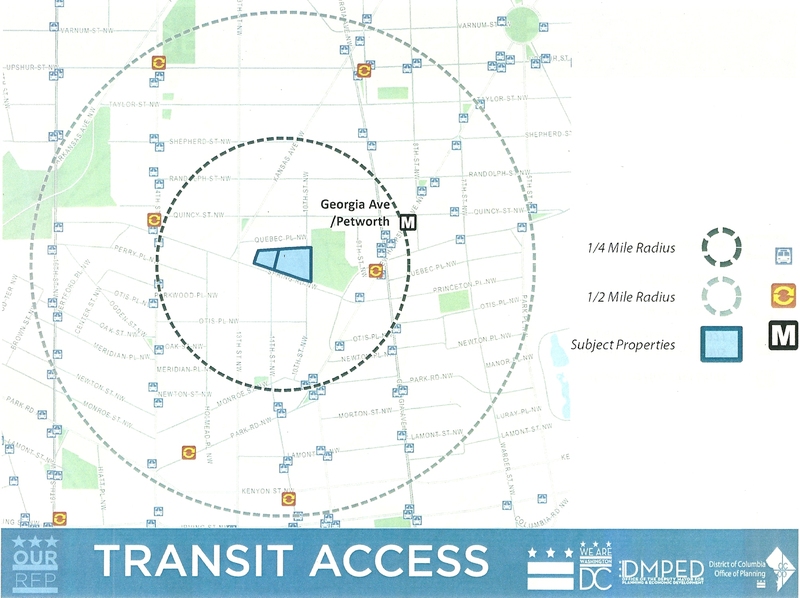 There is also concern about traffic and parking and more than one group requested that DDOT perform a traffic study. But these issues apply to the entire project rather than its parts. Within my working group, there was general agreement that the RFP should start from the position of including a strong affordability component, and then let the financing drive the configuration of affordable and market rate housing to a balanced level. There was an understanding that the economics of development will have an impact on what can be financed and that, at the end of the day, the development must become a reality for any housing to exist. We also discussed the massing of the new construction on the Robeson site. Some suggested that a by right approach would be more in keeping with the neighborhood and better fit in. I countered that I would prefer a PUD process for three reasons. The first is that it would allow for a slightly larger building. The existing Hebrew Home building is one story taller than allowed by by right, and I think that an additional story on the new construction that matched the height of the historic building would not be out of place, especially as it would be located between the Hebrew Home site and the Raymond School & Recreation Center. Secondly, this would result in more oversight and community opportunities to participate. Thirdly, the building as zoned is residential, yet the existing Hebrew Home building has a space on the first floor with a separate entrance that could support a small store or possibly another use such as an early childhood development center. These options should be vetted by the community to see if they are a good fit for the neighborhood rather than not discussed. It is clear that people want the new construction to fit into the neighborhood context. Personally, I’m agnostic with regards to the style of architecture (i.e. traditional, modern, contemporary, etc.). However, I strongly voiced that the resulting new building should be architecturally compatible with the neighborhood’s character by pulling inspiration from the architectural vocabulary that surrounds it. This can be done through materials, massing, or architectural details. The group also agreed that we want a quality building, a place where residents want to live and that will enhance the community for years. With regards to the living units, we discussed the need for family sized units and apartments for seniors. Within this context, we briefly discussed the two parts of the project and where these types of units might fit within the development context. I also added that I would like to see every unit (if possible) be ADA compliant. With this I am thinking more long-term. As units become vacant in the future it would be ideal if any resident in need of housing would be able to move into the building and not be prevented due to the units configuration. Goal 3.5: Create small parks and green spaces in areas with inadequate open space. With all of this in mind, I’m looking forward to continuing the dialogue at the May meeting, and encourage everyone to participate as time allows. This entry was posted on April 11, 2016 at 7:01 am and is filed under Development, Historic Landmarks, Housing. You can subscribe via RSS 2.0 feed to this post's comments. I attended and my table could definitely not reach consensus on the types of units. Three members of the Jews for Justice wanted 100% low income, two people wanted a mix of market/senior and the other two wanted 70% market rate. I liked the small group discussion, but I believe the reports at the end of the sessions didn’t accurately represent the table discussion. You can summarize an entire discussion/debate in three bullet points. The JFJ member at my table had zero interest in discussing anything besides subsidized housing. We tried to get her to engage on issues like design, preservation, green spaces, and other important community considerations, but she wasn’t interested in the neighborhood. Thank you for the summary. 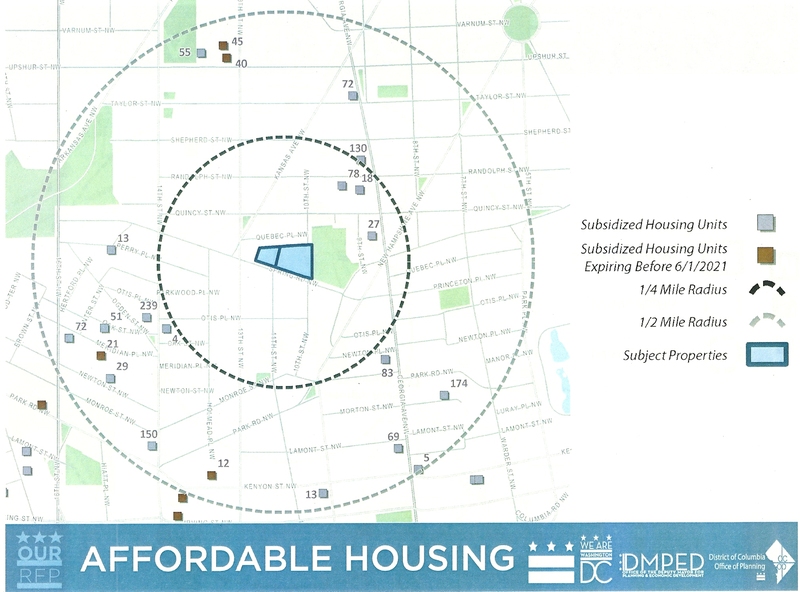 I unfortunately could not attend and agree with the need for affordable housing in the area (and DC overall) but believe that just like with the Park Morton redevelopment there should be no less than 50% market rate for this massive project to help ensure a liveable and vibrant surrounding community. I share a similar view with many of my neighbors I have spoken with regarding these two projects.